themselves on their production of exceptional organic foods and the importance of eating locally, so the ingredients used in cooking classes may be grown on site and picked as it is needed in the dish. Californian dishes are typically prepared with strong attention to presentation, as well as expert pairing with the many world-class local wines. Fill in the form below and we'll send you an email with all our current deals for California. Our specialty classes offer you a chance to meet world renown chefs and discuss the intimate details of their cooking secrets in an very comfortable setting. Alchemy of the Hearth is dedicated to the home cook. Our classes include adventures in cooking, baking, chocolate and candy making, etiquette and party planning. With locations in both Escondido and San Diego, we invite you to join us in our pursuit of simple pleasures. Choose from one of several intimately designed cooking demonstrations, unique lectures, or private classes. There is plenty of hands on participation, from novice to professional, to make this a truly memorable and inviting opportunity. Please join us for a fun and educational culinary experience. A Central Valley native, Shirley Sprinkle picked up a whisk and a spatula when she was twelve years old and hasn’t looked back. All classes are hands-on and match each student with recipes that fit their likes, lifestyle, and skills. Join the fun as we create and share our favorite recipes for every occasion.Class menus are always a surprise but the themes offer a clue to the recipe selection! Chef Meir Brown and his staff offer step-by-step instructions and invite you to help prepare gourmet meals in our gourmet presentation kitchen. All participants will dine together and take home recipes with detailed instructions. At California Kitchen & Company we are proud to offer a variety of culinary educational seminars that are both hands-on and fun! Our instructors will not only share their secrets of the cuisine, but also the culture. Celine’s Cuisine French and Mediterranean cooking classes are delightful. Whether it is a birthday party, anniversary, bridal shower, club dinner party or team building event…getting your own group together for a class is huge fun! Dates, times, and class menus are flexible. RB Classic Cooking “Make and Take” Cooking Classes offer food lovers extraordinary culinary experiences in our commercial kitchen. Learn skills and techniques used by professionals. The diversity of our classes offers students the opportunity to learn a variety of cooking styles from Baking to BBQ then take it home. Whether your desire is to take a recreational class, or our multi-week Culinary Chef and Culinary Baking Programs, we provide the service, quality ingredients and equipment you need to learn while making new friends and having fun. Marcela is finally in the process of opening her own cooking school in the San Diego area! Fun classes for people with even minimal experience will tackle such topics as traditional Mexican cuisine, Baja Med cuisine, and baking pastries. All classes are hands-on and generally run about four hours from Noon- 4 PM at the Mizell Senior Center at 480 S. Sunrise Way in Palm Springs. Chefs, Inc. is a beautiful, state-of-the-art culinary studio with eight fully equipped kitchen workstations. We welcome everyone, regardless of skill level or experience, to come in, take a class and enjoy the rewards of fine cooking. Come to us for cooking classes, field trips to gourmet purveyors, private cooking parties, and corporate culinary team-building programs. Serving individuals and businesses in La Canada, Pasadena, Glendale, and the greater Los Angeles area. Compassionate Cooks is dedicated to empowering people to make informed food choices and to debunking myths about vegetarianism. Cook LA is a unique hands-on cooking class that caters to a myriad of culinary needs. Youll learn how to cook simple, healthy gourmet meals using seasonal, fresh ingredients. Each class includes your own prepping station, your own set of tools and supplies, and ends with a delightful dinner party. Cooking with Class offers a wide variety of cooking classes for all skill levels. Experience an enjoyable hands-on workshop, "Dinner and a Date", a monthly informative wine and food pairing evening with our Executive Chef and Sommellier, and a Professional Culinary and a Professional Baking and Pastry Certificate program. We strive to exceed your expectations and are committed to providing exceptional dining experiences. Smitty's tailors menus to your event and wishes. All meals are prepared and served in your home, backyard or venue of choice. Our goal is for you to have a fun, educational and stress free party! After a brief demonstration and instruction for the recipes, the group will be split into cooking groups and assigned a cooking 'station'. Our professional staff will guide you while you prepare the menu. Draeger's Cooking School is practically an institution itself. Headed by Cooking School Director Kathleen Taggart and a very talented staff, we offer year-round classes taught by world-renowned chefs. New classes are offered every 3-4 months. First Class Cooking offers hands-on cooking classes in a casual, supportive, and fun environment. All classes feature uncomplicated recipes and everything is made from scratch using top-quality, local, and seasonal ingredients. Hands On Gourmet is the leading cooking party company in the Bay Area. Our award-winning team takes pride in delivering a fun, dynamic, and mouth-watering event every time. Cooking Classes at Happy Trails Catering are held at our Pasadena location. Students actually do the cooking with the guidance of a chef instructor and go home with recipes that they can add to their repertoire. Need a head-to-toe makeover in the kitchen or just a repertoire update? HauteFood offers private cooking classes tailored to you. Get a group of your favorite people together and learn to cook something fabulous! Do you think preparing an elegant meal for friends means slaving for hours in the kitchen? Does the thought of entertaining make you weak in the knees? I'll teach you everything you need to know. In the Mood for Food offers gourmet vegetarian cuisine, personal chef services, catering, cooking classes and events. Handcrafted, local and seasonal organic cuisine. Chef Deborah Dal Fovo is one of the top Italian food and wine authorities in the U.S. and offers authentic Italian cooking classes in the San Francisco Bay Area. Deborah’s fun and informative cooking classes give students a true taste of Italy and the confidence to cook like an Italian! At KCA... we believe cooking allows small children and teens to emotionally apply academic theories by using everyday Math, Reading, Science and Nutrition through culinary arts. Through fun and educational hands-on cooking classes, culinary demonstrations and lectures taught by top chefs and food professionals, we demystify home cooking and entertaining. A San Diego based personalized hands-on gourmet cooking and dining experience designed especially for you! Specializing in Californian cuisine, with our very own organic vegetable and herb garden you will learn how to prepare a six course gourmet meal, then dine on the delicious food you learned to prepare complete with wine pairing. As a cooking school, we offer a unique experience for aspiring home chefs of all ages. Our classes are limited to 10 people, and are designed for fun! We also travel to the most desirable locations in France, Italy and Spain, immersing ourselves in the culture of food and wine. Let's Get Cookin' is "where recipes come to life." Recipes in a cookbook are only one dimensional, and even watching recipes demonstrated on TV cannot equal the learning experience of a real cooking class. A variety of classes are offered such as therapeutic cooking for various health concerns, fun classes with ethnic flair and even trust your instinct classes sans recipes. At Paulding & Company we can design your group’s personalized cooking class or cooking party, or you can join one of ours. The kitchen is unique, spacious, and well equipped. It is set up for both our professional catering and for hands-on cooking events and classes. PREP Kitchen Essentials is a retail store and cooking school in Long Beach, California. We offer cooking classes for the Long Beach, Los Angeles and Orange County communities. Relish Culinary School stands out as the only “roving” culinary program that brings together talented chefs and fabulous cuisine at captivating wine country locations to create one-of-a-kind hands-on and demonstration cooking experiences. San Francisco Cooking School offers the largest program of hands-on cooking classes in California for cooks at any level. 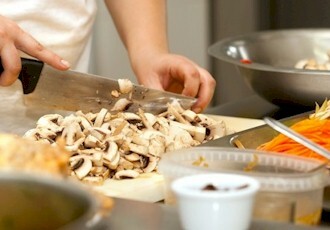 Every cooking class is hands-on and instructors include the best culinary talent in the Bay Area. SFCS is also a professional culinary school with training in Culinary and Pastry Arts. At Shallots Cooking School in Vacaville, we are dedicated to celebrating great food and wine, and to giving our guests the opportunity to learn the pleasures of the Culinary Arts. Tante Marie’s Cooking School in San Francisco was founded as a full-time school in 1979 and was one of the first schools of fine cooking in this country to offer all-day, year-round classes for people who are serious about cooking well. 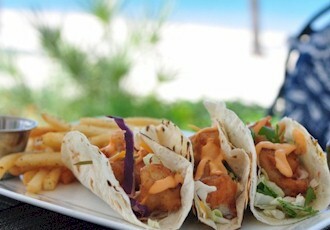 The Chef’s Touch is a unique cooking, food and people destination devoted to the food lover’s experience, offering cooking classes, cookbooks, cookware and gourmet foods. In our classes you get to eat whatever is made, wine or appropriate beverages are included at the end of the evening, and recipes will be handed out so you can take them home with you! Join one of our delicious educational cooking classes, and be part of the fun. Each class is filled with organic whole food ingredients and nutritional knowledge. You will be given helpful tips in the kitchen along with addressing the nutritional value and benefit of the foods being prepared. What could be more fun - you hang out and relax while we shake up some great drinks and work our way though an awesome lineup of food right in the same red kitchen you see on TV. The Culinary Dude's mission is to teach anyone he can get his hands on to cook, focusing on the process rather than the product. "Our goal is to inspire all participants' imaginations in the kitchen as they cook and to encourage their creativity while they are learning a variety of cooking styles, techniques and enjoy themselves doing it"
The Gourmandise School is a hands-on culinary school with a focus on teaching classic techniques using seasonal and locally sourced ingredients. The school offers pastry and cooking classes, professional courses and fascinating food workshops. Whether you are interested in a serious culinary career, just want to learn the fundamentals or improve your existing skills, The New School of Cooking has a course for you. A delightful new and easy way to give a party! Learn to make delicious meals with friends or family, cooking and eating together. Improve your culinary skills in the comfort of your own home. Choose from a wide variety of menus, mix and match or have a theme meal. Viva Cucina classes are great for people who enjoy cooking and want to learn how to "cook outside the box", as well as for the beginner cooks who want to feel at ease cooking and entertaining. Choose from one of several intimately designed cooking demonstrations in Chef Wendy's own private exhibition kitchen. Unique lectures, demonstrations, and hands-on participation make this a truly memorable and inviting opportunity. What's Cooking offers a variety of classes for children and their families that promote healthy and seasonal eating. Join us for a class and have fun while learning something too! Join one of our cooking classes and learn the latest techniques for preparing a selection of innovative recipes. Classes are held on Mondays from 6:00 to 8:00pm unless otherwise noted. Vegetarian cuisine with Middle Eastern and European influences. The adjacent bakery/cafe offers informal dining and take-out items. In addition, Zov's offers full-service catering, banquet facilities, and a cooking classes. Enjoy the festive atmosphere and fill your bags with fresh fruit, vegetables, flowers, baked goods, and handmade crafts. Every Sat. Japantown becomes a live stage sith dancing, singing, martial arts demonstrations, as well as taste Japanese delicacies. Live music, competitive chili cook-off, beer tasting and a home brewing competition. Sample incredible beers from the best craft brewers in the world. Taste a delicious offerings from some of San Francisco’s best restaurants. Highlights the art and flavor of craft beer in Martinez and surrounding communities. 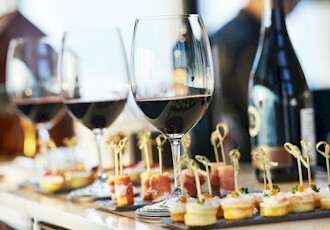 Enjoy hundreds of California's finest vintage wines, delicious gourmet foods samples and lively music. Tasting 100 classic CA wines of legendary stature at one event is truly a rare chance for wine lovers to taste the very best all in one place. Celebrates our rich Sacramento beer culture with more than 400 events capped off by the Capital Beerfest at Cal Expo. Traditional Japanese dancing, taiko drums, martial arts, the ancient art of the tea ceremony, hand-made crafts & food with an Asian flair. Celebrated performers, unrivaled events, and mouth-watering delicacies designed to delight, enchant, and amuse people of all ages. Celebrating the region’s rich agricultural history as one of the premier dairy regions in the country. Features over 40 speciality food purveyors paired with not only some of California's best wines but international wines also. Taste wines from over 70 wineries, meet winemakers and owners who share why our wines are among the most elegant and sophisticated. Jam packed with thrilling rides, exciting stage shows, delicious food and fabulous merchandise. Enjoy a festival dedicated to everything olive:.oils, olive oil tastings, soaps, gourmet foods and much more. Enjoy tasty offerings from over 40 of Santa Clarita's best restaurants, caterers, and wine and beer purveyors. An afternoon of delicious food, wine, and specialty cocktails. Includes the ICS sanctioned chili cook off and a classic car show with music and entertainment throughout the day. An amazing experience in taste and art with the addition of hot music to complement the cool brews. This annual event features wines and craft beers from El Dorado County and elsewhere in Northern California. One of the nation’s largest single-day charity wine auctions showcasing celebrated chefs and restaurateurs, winery owners and winemakers. The hottest names in entertainment, the largest collection of Fine Arts & Crafts, and an unbelievable assortment of strawberry foods and beverages. Fudges, truffles, chocolate ice cream, chocolate cheese cake, etc., Food to satisfy every pallet, and Specialty Merchandise & Services. One of the largest community festivals in the western US, but also one of the oldest. Escape to the Sierra Foothills on Saturday to experience the blending of fine art, fine wine and early summer. Don't miss this exciting opportunity to experience some of the best restaurants the desert has to offer. Experience a chocolate paradise in the foothills of the Sierra Nevada Mountains and overlooking the Sacramento Valley. Enjoy a great day while raising funds to help homeless dogs and cats! Wine, tequila, food, music and silent auction against the backdrop of the beautiful grounds at Encinitas Quail Botanical Gardens. Lick your fingers & tap your feet as you enjoy the best in music, award-winning BBQ, & the area's most prized craft beer. Showcases the area's finest restaurants & caterers and award-winning wineries & vineyards from throughout CA & marvelous micro-breweries. Indulge, have fun and help end childhood hunger in America. Food, Wine, Beer and Spirits in Beautiful Calabasas, California! BBQ competition, arts and crafts, and music! Local restaurateurs, executive chefs, and caterers who show off their culinary skills by preparing oysters in every imaginable way. This unique lakeside wine festival has grown to boast wineries, renowned chefs, acclaimed artists and live music. The Flower Festival features food booths and arts and craft show, sponsored by the Alpha Literary and Improvement Club of Lompoc. Chow down with salmon, beer and wine, and all the fixings to benefit salmon restoration causes in the Noyo River to the Usal Forest. 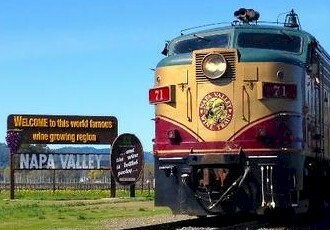 The Festival showcases Petaluma's artistic and horticultural splendor. 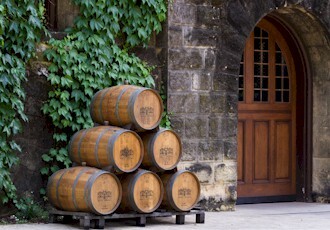 Wineries and creameries offer pairings of cheeses, breads, and wines. Sip vintage CA wines, sample gourmet appetizers, artisan breads & cheeses, fresh fruits, & local &regional craft brews. If you like your food cooked slow & low, then step right up and order some of our BBQ. A bounty of farm-fresh food sampling, cooking demos, live music, art show and, of course, lots of sampling of wonderful delights, wine and beer!